How Important is to Maintain Cleanliness? Clean rooms in Pharma laboratories and various FMCG industries need to maintain certain quality of air to meet their needs of cleanliness or inhibit any kind of micro-organisms in the vicinity. Even the person in the lab has certain value of microbes on their skin especially hands which could be readily transferred in to the product or critical area or objects if not taken with enough care. Such microbes are either present on the skin not multiplying like pre-existing flora, which can include a wide range of environmental microorganisms like Staphylococcus, Pseudomonas etc or are multiplying microorganisms released from the skin like residential flora coming from the families of Micrococcus and Propionibacterium. Of the two groups, residential flora is more difficult to get rid of. For utmost important operations, some protection is taken by wearing gloves to inhibit these creatures. 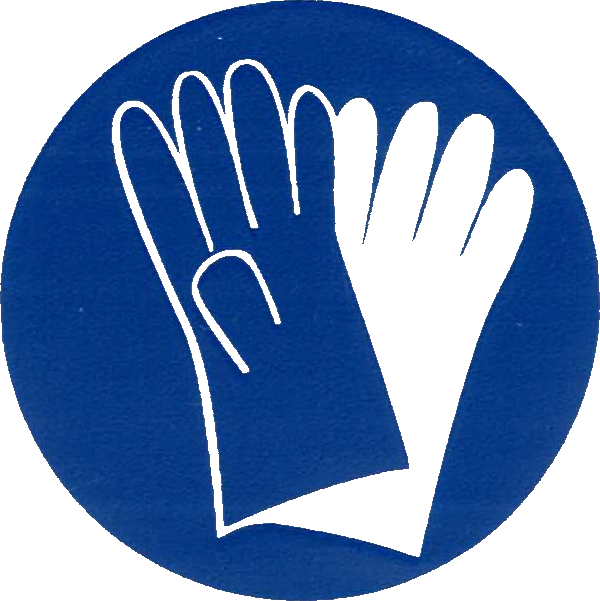 However, gloves are not suitable for all activities and you have to undergo frequent sanitization or if they are of an unsuitable medium they will catch up and transfer via cross contamination. Considering all these value points, sanitization of hands and surfaces in healthcare settings and in cleanrooms is of extreme importance while dealing with bulk drug production or any research which involves lots of effort and time, as carelessness at any point of operation could cost the company heavily. The cleanliness of sterile clothing is an important consideration in order to prevent the clothing itself to become a source of contamination. For example, sterile gloves that have been washed in de-ionised water, cleanroom packed, sterile validated and specified for low endotoxin levels can help lower the risk of particle, microbiological and endotoxin contamination. Sterile apparel that is laundered, cleanroom packed in individual vacuum packaging, double-bagged and provided with periodic sterile validation will also contribute to lower contamination risks. Sterile gloves made from synthetic materials are beneficial because they can eliminate the risk of contaminating the final product with rubber latex proteins, which can be a problem for patients with latex allergies. Another point to keep in mind is the barrier performance of the clothing. Continuous improvement can come from better control or elimination of variability in attributes that impact barrier performance. For example, disposable apparel eliminates the risk of variability in filtration efficiency and material strength that may come from re-wearing, re-washing and re-sterilizing apparel many times and over a long period of time. Sterile apparel made from stronger materials and sterile gloves with a higher quality film formation will be more resistant to breakage and are more likely to be free from any pinhole type defects. As well as protecting the process from contamination, sterile clothing should also protect the wearer from the health and safety risks presented by chemicals. Sterile gloves tested to show longer resistance times to permeation by cytotoxic chemicals and sterile clothing certified to provide protection against chemical splashes can contribute to better protection for the wearer. There are also other ways to protect wearers from health and safety risks. For example, sterile clothing that is bio-compatible can mitigate the risk of the clothing causing irritation to the wearer, and sterile gloves that are free from natural rubber latex will eliminate the risk of latex allergies. Cleanroom is an isolated environment where products are manufactured. It is a room in which the concentration of airborne particles or micro-organisms is controlled to specific limits. Contamination control is the biggest task to be taken care of in a clean room. They are ubiquitous and they come from people, process, facilities and equipment. They must be continually removed from air. The level to which these particles need to be removed depends upon the standards required for that particular industry. Strict rules and protocols are followed to prevent contamination of the product. Contamination is taken care of by controlling air flow rates and direction, pressure, temperature, humidity and specialized filtration. Clean rooms are designed and manufactured using strict protocol and methods. They are frequently needed in industry of electronics, pharmaceutical, biopharmaceutical, medical device industries and other critical manufacturing environments. Contamination could cost you an arm and a leg. Product manufactured in that period of time (whole batch) just goes to waste. For the same, different industry has a different quality of cleanliness. There are different grades of clean rooms. A Class 100 cleanroom is designed to never allow more than 100 particles (0.5 microns or larger) per cubic foot of air. Class 1000 and Class 10,000 clean rooms are designed to limit particles to 1000 and 10,000 respectively. By the end of the day, after a clean room is done, the next big thing remains is to maintain a clean room with all the given standards and to get superior products.